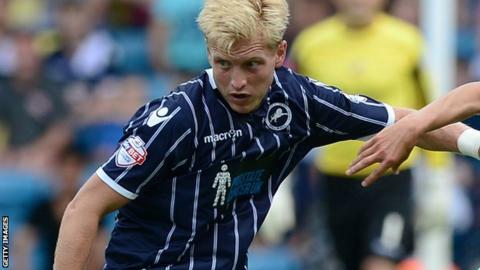 League One side Leyton Orient have signed Millwall midfielder Josh Wright on loan until 3 January. The 24-year-old had a brief loan spell with the O's last season, making two substitute appearances. Wright, who featured four times during a month on loan at Crawley earlier this season, is eligible to play in the FA Cup and the Johnstone's Paint Trophy. His arrival in east London comes after Orient midfielder Romain Vincelot underwent minor knee surgery on Monday. The Frenchman, who has scored four goals in 16 appearances this season, sustained the injury in the 0-0 draw against MK Dons earlier this month. Vincelot, 28, is expected to be back in action before the end of the year but joins a host of players in the treatment room. Midfielder Lloyd James is likely to miss the rest of the campaign with a broken leg, while striker David Mooney and on-loan midfielder Jack Price are out with ankle injuries. Keeper Adam Legzdins (finger) and defender Gary Sawyer (knee) are getting nearer to a return while striker Kevin Lisbie, who has been out for two months with a shoulder injury, has stepped up his training regime.